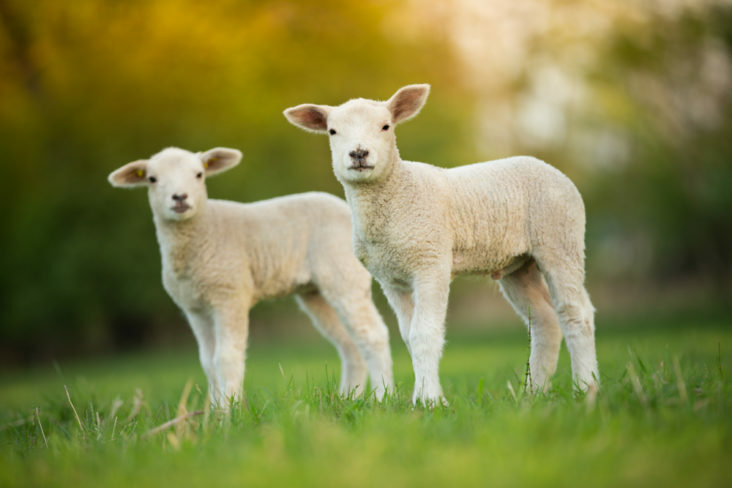 Lambing season is one of the most important events on a farmer’s calendar. It will take over your life as you lead up to the birthing period and then as you welcome the new arrivals. There is no way to take the stress out of lambing completely, as it can be unpredictable and time consuming. However, you can plan for most eventualities and have systems in place to ensure that things run that little bit smoother. We have put together a list of just a few of the things that you should consider as we move ever closer to that time of year, with some suggestions that will hopefully prevent last minute panic and uncertainty. Planning is key when it comes to getting ready for the busy lambing season. The more you can do beforehand, the less stressed you will be when things start to get underway. Do a stocktake around 6 weeks before the season begins and order anything that you are low on or expect to use up quickly, particularly medical supplies. Create a lambing kit, including bottles, teats, sterilisers, heat source and arm length gloves. Ensure that you are personally prepared, by stocking up on extra food so that you won’t need to do panic food shops. Have all of your waterproof clothes and boots ready in an easy to access area. Make sure you have enough batteries for torches and walkie talkies if used. Have your local vets phone number in an easy to find place, just in case. Don’t leave this decision until the last moment as it will leave you very little time to find an appropriate space that will keep your flock safe, dry and warm.. Choose a shed or barn area that is draught free and which has good lighting. Clean the area as well as you can and split it into separate birthing pens, preferably one pen per eight ewes. Ensure that no birds or wild animals can get into the area as this will help to prevent attacks and infection. A supply of bottles and teats in case your ewe is unable to feed the newborns. Iodine, lubricants, needles, syringes and other medical supplies. Offer a source of essential energy and nutrients. Help to build a healthy immune system. Act as a mild laxative which will clean out the digestive system. Be sure to use a sterile way of administration, such as a stomach tube. Try to think of anything that could crop up unexpectedly and have potential solutions in place. Have helpers on standby, in case the process takes longer than expected and you need to go for a break or a few hours sleep. Know when to contact your vet for help, in case of difficulties. Lambing is one of the hardest, yet one of the most satisfying events of the farming year. It involves a lot of planning, preparation and hard work, but if all goes well, you will have the best results through many healthy lambs.